Dee Dee Sterber just wants to teach, to make a difference in the lives of her studentsand maybe to meet the right guy. With missionary zeal, she returns to teach in her hometown determined to open her students minds to the ideas of the worlds greatest writers. Instead, she finds out she has to act to save them from one of the worlds greatest threats. On a quiet day in late October, just hours before the scheduled execution of Akadi in the nearby maximum security prison, the small terrorist cell carries out a carefully coordinated and daring attempt to free him. Without help or communication from the outside, Dee Dee and her partner Jerod must confront the terrorists in the darkened school corridors or die trying. 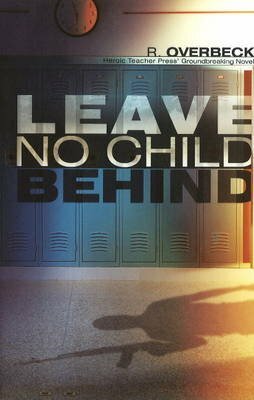 Leave No Child Behind is an unsettling, yet frighteningly believable story of danger, human tragedy, and redemption.